Who can still remember. 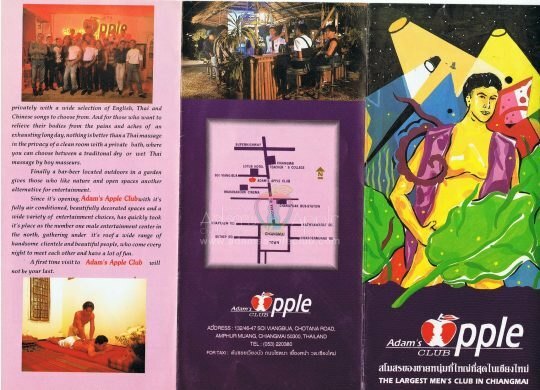 One of the very first flyers of Adams Apple Gay Club Chiang Mai. Many years ago, and still we are there. Adams Apple Gay Club Chiang Mai the best known gay bar in the city, with the best shows and the hottest Boys. 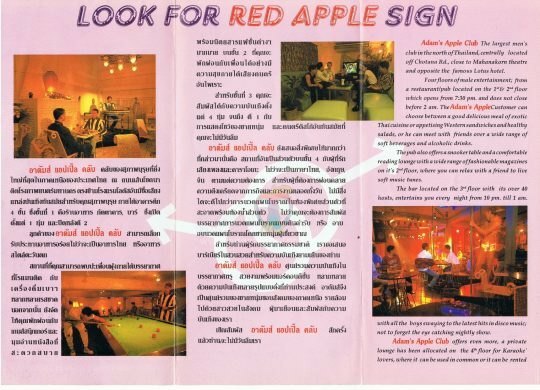 One of the longest established gay Go-Go clubs in Thailand, the famous Adam’s Apple Club is the best known best known Chiang Mai gay bar and has for many years set the standard for male entertainment venues. Recently refurbished, Adam’s Apple is a smart modern gay club with sumptuous seating, a hi-tech sound system, fantastic light show and many beautiful Thai guys.